I've found a useful set of tools for writing RST, when I must. I'll show you how to configure LiveReload and Chrome to make the experience of writing RST's tortured syntax somewhat bearable. 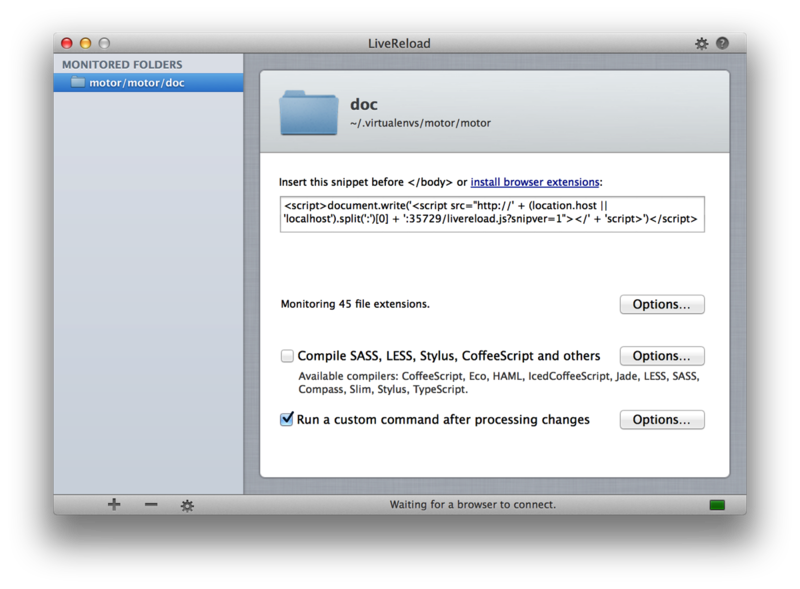 I bought LiveReload from the Mac App Store for $10, and opened it. Under "Monitored Folders" I added my project's home directory: I was updating Motor's documentation so I added the "motor/doc" directory. Next to "Monitoring 44 file extensions" I hit "Options" and added "rst" as a 45th. Note that I specified the full path to the virtualenv'ed sphinx script. Next, follow LiveReload's instructions for installing the Chrome extension. 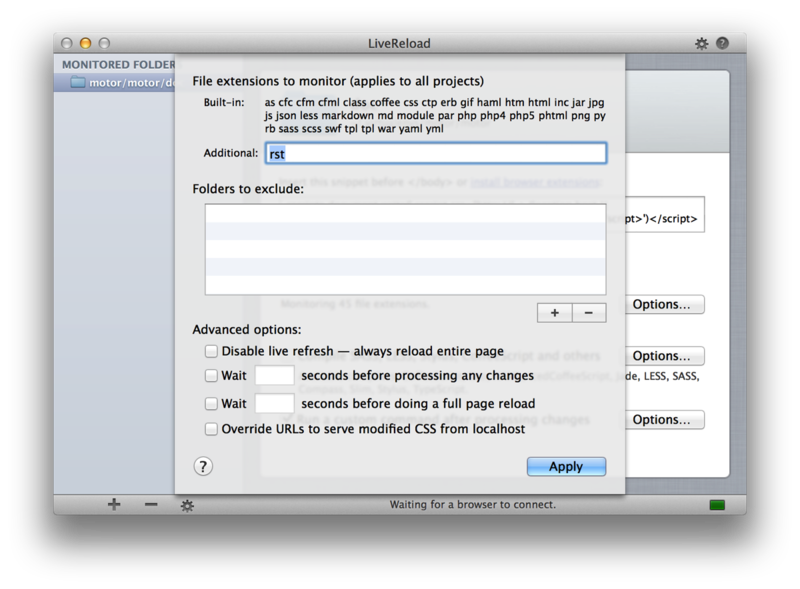 Pay attention to LiveReload's tip: "If you want to use it with local files, be sure to enable 'Allow access to file URLs' checkbox in Tools > Extensions > LiveReload after installation." The icon plays it close to the chest, but if you hover your mouse over it, it'll admit whether it's enabled or not. Back at the LiveReload application, you'll now see "1 browser connected." Try it out! Now you can make changes to your RST and see it live in your browser. I don't think I'll ever learn to type RST's syntax reliably, but at least now, I can see at once whether I've typed it right or not.